Ascending Butterfly: Laughter - It REALLY is the Best Medicine, and Then Some! Laughter - It REALLY is the Best Medicine, and Then Some! Did you know that babies begin to laugh when they're just 12 weeks old, and that the typical 4 year old laughs several hundred times a day? While we may take humor for granted, we shouldn't. Because by the time we're adults, we're only laughing a handful of times a day. That means we're missing out on the incredible benefits of laughter. 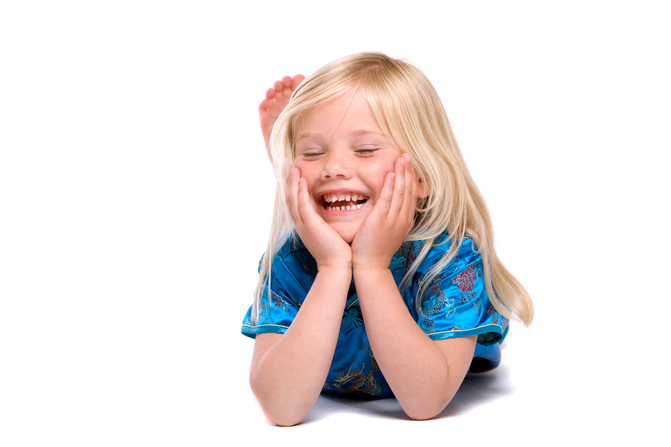 For children, laughter offers not just these immediate benefits. Having a sense of humor also allows children to maintain a youthful, positive outlook on life. It's something they can turn to as a coping mechanism during challenging times. Humor also can help children develop social skills and maintain emotional and physical health. Last, but not least, laughing just plain feels good. So, how can you encourage your child to develop and appreciate a sense of humor and the laughter that follows? Try the following strategies to get the giggling going in your home. Make them laugh: Tickle your baby's tummy. Play hide-and-go seek with your toddler. Tell your 5 and 6 year olds funny jokes. Finding opportunities in everyday life to laugh with your children will make your home a happier place now, and will plant the seed of laughter in your children forever. Be a good role model: Sure, our lives get weightier as adults, and we may not find as much to laugh about. But you won't raise laughing children if you're wearing a frown much of the time. If you can find the humor in everyday life and let your children see it, you'll help create a home environment that feels safe, comfortable and fun. Add time for fun: Kids get so over-scheduled with activities during the day that we often forget they need time to just veg out and have fun too! FTC Disclosure: This article was provided and sponsored by Kiddie Academy®. The company has been a leader in education-based childcare for 30 years serving families and their children ages 6 weeks to 12 years old, offering full time care, before- and after-school care and summer camp programs. You can visit the KA Family Essentials blog and LIKE them on FB as well as Twitter @KiddieAcademy for additional information. Wish I was there to tickle your tummy and make you laugh! Hope you are feeling better!